Built in 2009, refitted in 2012 and exceptionally well maintained for its entire life, the 54m (177′) motor yacht Burkut is the fourth yacht built in Baglietto’s full displacement custom superyacht range. The superyacht features a five cabin layout with accommodation for 10 guests and 13 crew members. 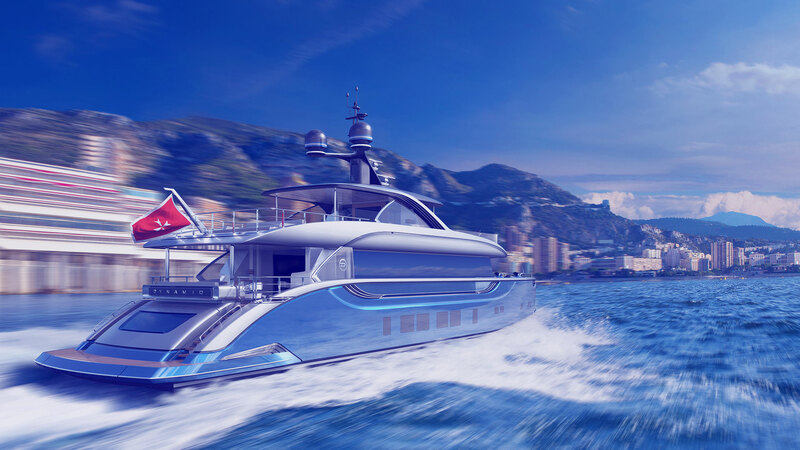 The five cabin interior layout as well as the graceful exterior design were created by Francesco Paszkowski. Photo by Jarrad @ superyachts_gibraltar. The master stateroom, located on the main deck, features two private sea-view balconies in addition to a private office area and spacious bathroom accommodations. This large enclave provides guests with the opportunity to retreat from the action and relax in their own private area. Outside of the master stateroom are four additional cabins for guests. 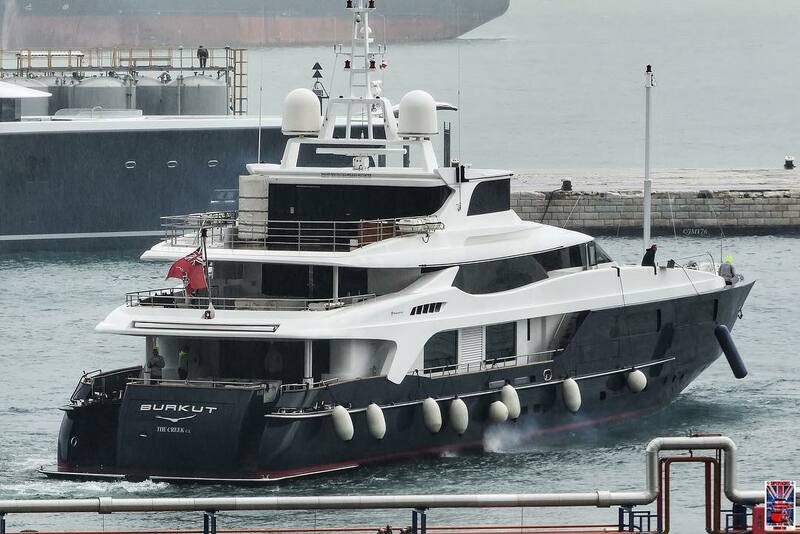 Burkut is built on a steel hull and aluminum superstructure powered by twin Caterpillar engines. The Caterpillar engines provide a cruising range of 4,200 nautical miles at 15 knots and a top speed just under 18 knots. As a completely custom build Burkut is well equipped with many luxurious amenities providing guests with a plethora of options for relaxation and entertainment. Some of these include a gym, spa center, and sundeck jacuzzi. There is also an elevator to aid guests in navigating the superyacht’s multiple decks as well as zero speed stablizers to ensure comfort underway and at anchor. Burkut also houses a 7m custom tender and multiple water toys including wave runners to transport guests to and from the superyacht. Burkut entered the brokerage market this past summer and is currently available for an asking price of roughly $20,000,000. 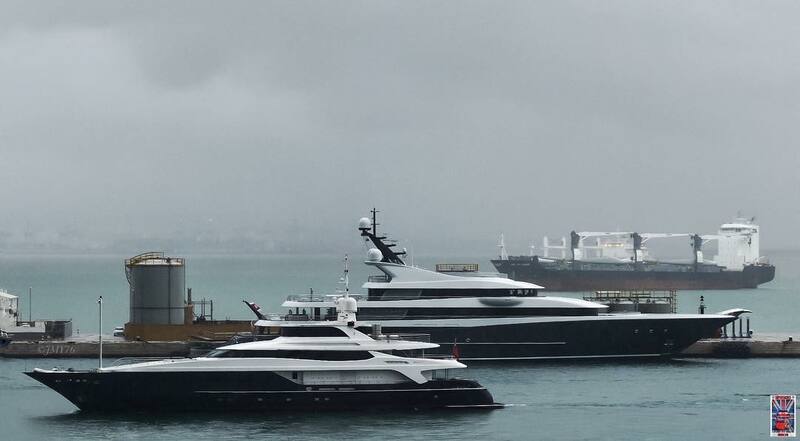 Burkut by Baglietto and Phoenix II by Lurssen yachts seen together in Gibraltar. Photo by Jarrad @ superyachts_gibraltar.